Obesity is a major risk for both cardiovascular disease (CVD) and type 2 diabetes mellitus (T2DM). Obesity has reached epidemic proportions globally, and evidence suggests that the situation is likely to get worse in both developed and developing countries. It is considered to be a predisposing factor for several chronic diseases which include CVD, ischemic stroke, hypertension, T2DM, vascular dysfunction, and proinflammatory and prothrombotic state. This is where Syndrome X intersects with obesity and plays the role of a common denominator for CVD and T2DM. Persons with Syndrome X are more susceptible to CVD & T2DM. It is particularly relevant to recognize that variation in disease susceptibility among individuals in the population at large is a consequence of the intersection of the distribution of genotypes with the distribution of past environmental exposures and future environmental trajectories. For instance, many individuals who have a genotype that is found in those with disease will remain healthy because of the compensatory effects of a different environmental history on the same initial conditions. Similarly, individuals who do not have a high risk genotype may develop a disease of an adverse environmental history. That is, interaction between a particular genotype and particular environmental exposures. In the thrifty genotype hypothesis as proposed by Neel (1962), entire populations have an increased predisposition to T2DM due to genetic selection. They are better adapted to different nutritional circumstances than those they experience today. In the thrifty phenotype hypothesis (also known as Barker’s Hypothesis), maladaptive responses occur as a result of environmentally induced alteration of physiology in the early life of the individual. Both hypotheses offer explanations of why the frequency of diabetes and obesity may differ in different populations and why predisposition to diabetes is common, albeit by very different mechanisms. A third hypothesis called the “common soil” hypothesis as mentioned by Lebovitz (2006) that diabetes and CVD might share an underlying cause(s) is also described. Insulin resistance is central both to the progression from normal glucose tolerance to T2DM and to a constellation of CVD risk factors known as Syndrome X or Metabolic Syndrome. Then there is the epigenome that directly impacts gene expression and can be modified by both genetic and environmental factors. It is the potentially heritable changes in gene expression that does not involve changes to the underlying DNA sequences – a change in phenotype without a change in genotype. The epigenoytpe is dynamic and varies over time and tissues as a result of environmental exposure, aging, and diseases and other factors. 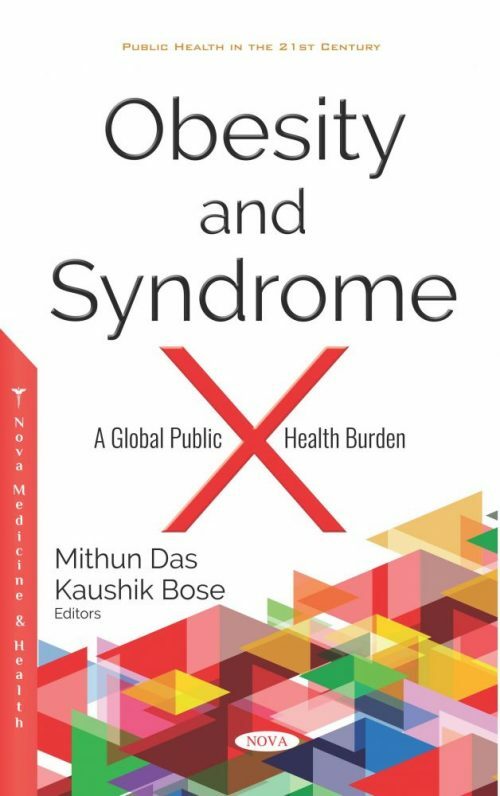 The present book is an assembly of the vast knowledge that has been generated over the last decade worldwide in the field of obesity and metabolic syndrome related disorders, and an attempt to translate research findings into a clinically useful tool for better diagnosis, intervention, and prevention of this global public health burden. We hope this book will not only expand the practice in the coming years, but that it will create new avenues for future research as well.